Marian Hall Seldes (August 23, 1928 – October 6, 2014) was an American stage, film, radio, and television actress whose career spanned over 60 years. A five-time Tony Award nominee, she won the Tony Award for Best Featured Actress in a Play for A Delicate Balance in 1967, and received subsequent nominations for Father's Day (1971), Deathtrap (1978–82), Ring Round the Moon (1999), and Dinner at Eight (2002). She also won a Drama Desk Award for Father's Day. Her other Broadway credits included Equus (1974–77), Ivanov (1997), and Deuce (2007). She was inducted into the American Theater Hall of Fame in 1995 and received the Special Tony Award for Lifetime Achievement in 2010. Seldes was born in Manhattan, the daughter of Alice Wadhams Hall, a socialite, and Gilbert Seldes, a journalist, author, and editor. Her uncle was journalist George Seldes. She had one brother, Timothy. Seldes's paternal grandparents were Russian Jewish immigrants, and her mother was from a "prominent WASP family," the "Episcopalian blue-blooded Halls." She grew up in a creative environment, studying acting at the Neighborhood Playhouse. Her maternal aunt, Marian Wells Hall (died 1972), was a prominent interior decorator. Trained for the stage, Seldes made her Broadway theatre debut in 1948 in a production of Medea. She went on to an illustrious career in which she earned five Tony Award nominations, winning her first time out in 1967 for A Delicate Balance. In addition to performing in live theatre, Seldes began acting in television in 1952 in a Hallmark Hall of Fame production that marked the first of many guest star roles. She also performed in a number of motion pictures and in radio plays. In the mid-1960s, Seldes recorded five albums for Folkways Records of famous works of literature, including two recordings of poetry by Robinson Jeffers. Between 1974 and 1982, she appeared in 179 episodes of the CBS Radio Mystery Theater. In 1992, she appeared as Murphy Brown's eccentric Aunt Brooke. Seldes studied with Sanford Meisner, Katharine Cornell, and Martha Graham. Actor Laura Linney said, "Marian is our touchstone to those theatrical ancestors. She provides an inspiration that makes you want to reach outside of yourself to something more potent and powerful." Seldes was a member of the drama faculty of The Juilliard School from 1967 to 1991. Her students included Christopher Reeve, Robin Williams, Kelsey Grammer, Kevin Kline, William Hurt, Patti LuPone, Val Kilmer, and Kevin Spacey. In 2002, Marian Seldes began teaching at Fordham University, Lincoln Center. Seldes appeared in every one of the 1,809 Broadway performances of Ira Levin's play Deathtrap, a feat that earned her a mention in the Guinness Book of World Records as "most durable actress". Seldes was also well known for her readings of short stories in the "Selected Shorts" series hosted by Isaiah Sheffer at New York City's Symphony Space. In December 2008, for their annual birthday celebration to "The Master", the Noël Coward Society invited Seldes as the guest celebrity to lay flowers in front of Coward's statue at New York's Gershwin Theatre, thereby commemorating the 109th birthday of Sir Noël. 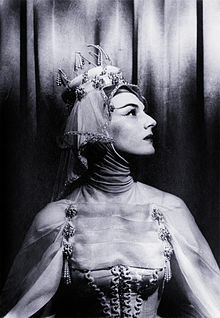 Marian Seldes was the recipient of a 2010 Antoinette Perry ("Tony") Lifetime Achievement Award. "All I've done is live my life in the theater and loved it ... If you can get an award for being happy, that's what I've got." In 2012, Seldes played the knife-wielding socialite Mabel Billingsly in the film adaptation of Wendy Mass's popular children's book Jeremy Fink and the Meaning of Life, written and directed by Tamar Halpern. Seldes had one child, Katharine, by her first marriage to Julian Claman. They were divorced in 1961. Seldes stated that the marriage to Claman was violent. "If I sound a little vague about that marriage, it's because I don't understand the person in it. Me. I literally didn't know that people could be abusive." Seldes left the marriage after her father noticed marks on her face. Seldes was married to screenwriter/playwright Garson Kanin from 1990 until his death in 1999. Seldes died on October 6, 2014, in her Central Park South apartment, aged 86 years. She was survived by her daughter, brother, sister-in-law, and extended family. The cause of her death was not released. However, in 2017, it was reported that a documentary about her life, Marian, by director R.E. "Rick" Rodgers", chronicling Seldes' last years, had created "consternation in the theater world" as a "horrific, intrusive depicting of her slide into dementia". ^ "Marian Seldes". Filmreference.com. Retrieved March 27, 2013. ^ "Marian Seldes to headline her latest stage return". The Villager. Retrieved March 27, 2013. ^ "Marian Seldes". Yahoo! Movies. April 20, 2011. Archived from the original on May 22, 2011. Retrieved March 27, 2013. ^ "Marian Wells Hall, Decorator, Was 76". The New York Times. March 2, 1972. ^ "Seldes discography". Smithsonian Folkways. ^ a b c d Witchel, Alex (June 14, 2010). "The 60-Year Stage Life of Marian Seldes". The New York Times. ^ Simonson, Robert (November 13, 2007). "Ira Levin, Author of Hit Mystery Play Deathtrap, Dies at 78". Playbill. Retrieved August 22, 2017. ^ "No. 4 in Long Play Runs, 'Deathtrap' Will Close". The New York Times. June 8, 1982. ^ "Spotlight On: The 2012–2013 Broadway Season". TonyAwards.com. Retrieved March 27, 2013. ^ a b Berkvist, Robert (October 7, 2014). "Theater: Marian Seldes, Regal Presence of Broadway, Dies". The New York Times (56647). Retrieved October 6, 2017. ^ "Broadway insiders horrified by documentary on theater icon's sad final days". New York Post. September 26, 2017. Retrieved October 7, 2017. ^ "Rick McKay Pens Open Letter to Marian Seldes Documentary Filmmaker". Broadwayworld.com. Retrieved October 7, 2017. Wikimedia Commons has media related to Marian Seldes.